On Saturday, March 2nd, NGHTDVSN will go down the infamous steps of Shelter for the very first time.For this occasion, they'll be bringing you an artist that has been a part of the NGHTDVSN family from the very beginning. 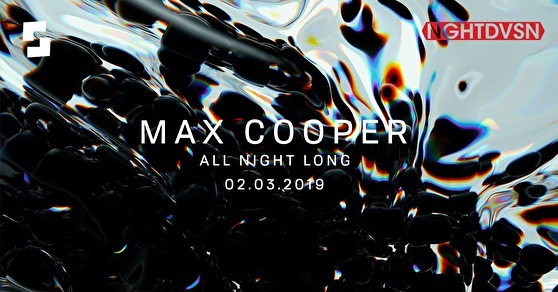 Max Cooper, an innovative musical pioneer will play a very special all night long set - which he has proven that he can do like no other. Expect to experience his wide musical range covering the entire electronic spectrum, as his set moves from ambient, experimental, sharp electronica to dark techno - and everything in between.